New Haven James Hardie Siding | New Haven James Hardie | New Haven James Hardy Siding | New Haven James Hardie Fiber Cement Siding | New Haven Hardie SidingMcGlinch & Sons CO.
Michigan is known for its severe weather circumstances, just like harsh winters with lots of snow and snow storms, hail, wind storms and hefty rain. McGlinch & Sons has been serving the Greater Detroit Metropolitan Area and Southern Michigan area as a professional installer of James Hardie Siding since we started business back in 1917! We’re a family-owned and operated dependable business that regularly delivers our customers complete satisfaction. 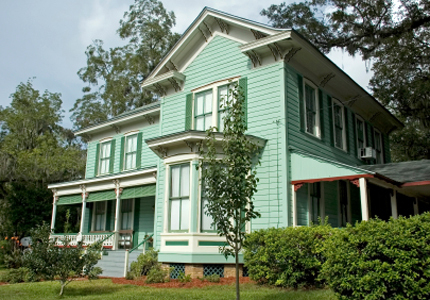 McGlinch & Sons’ James Hardie Siding is best known for being American’s #1 Brand of Siding. We’re regarded in the industry for having the absolute best siding products. Our James Hardie Fiber Cement siding products our extraordinary and very low maintenance. Furthermore, we are acknowledged for working together with all facets of exterior construction and are viewed as the greatest in James Hardie Siding installation. McGlinch & Sons is delighted to be able to supply our customers the absolute best siding products that the business has to give. So, there is need to look any place else, come right to us for all of your James Hardy siding products now! HardiePanel Vertical Siding (the typical board-and-batten look). McGlinch & Sons’ James Hardie Siding offers a superior product than vinyl and wood siding combined. Additionally, our siding products are non-combustible, weather-proof and fade-proof! A number of other excellent factors pertaining to the James Hardie Siding products is that it doesn’t require any scraping or painting and is best known for getting rid of moisture content and decay that is brought from the rain, snow and humidity. McGlinch & Sons’ James Hardie Siding can stand up against hailstorms, windstorms and tornadoes that we get from regularly. McGlinch & Son’s James Hardie Siding will protect the outside of your home while improving your property, too. So, if you’re serious about finding out more about the James Hardie Siding products, call us at: (248) 987-6300. We’ve four generations of knowledge and expertise we can talk about with you!